A colored concrete floor is a stunning low maintenance finish for home or business premises. When correctly applied, dyed and sealed, polished concrete finish is smooth and trouble free. There are no problems with cleaning grout, tile mastic or messy uneven, hollow, or broken tiles, and it’s far more durable than wood. To apply dye and seal to a floor. First, the floor needs to be prepped. This involves cleaning and a floor grinder to give the best effect. Dyes do exactly as their name implies, change the color of a floor through a penetrating pigment. This means any surface variations will be enhanced by the color. It also means that if there is any existing sealer or glue on a floor, the dye will not penetrate. Let’s take a look at what is needed to prep a floor for the dye and sealing process. The first step is to completely clean a floor to determine how much preparation is needed. This involves brushing and vacuuming so you can assess the amount of preparation that will be required. If you are not sure if there are any contaminants or sealers on the floor which will affect dye penetration and sealer adhesion, the easiest way is to assess water absorption. You may be able to do this during the cleaning process, but if not, spray a little water over the surface you want to check. A clean concrete finish will absorb water and darken evenly. Any sealer or contaminant remaining will show up as a light spot or as an area where water beads and does not absorb. After preparing the floor, it is essential to remove the grinding dirt. Vacuum any remaining dust and debris with a HEPA vacuum. 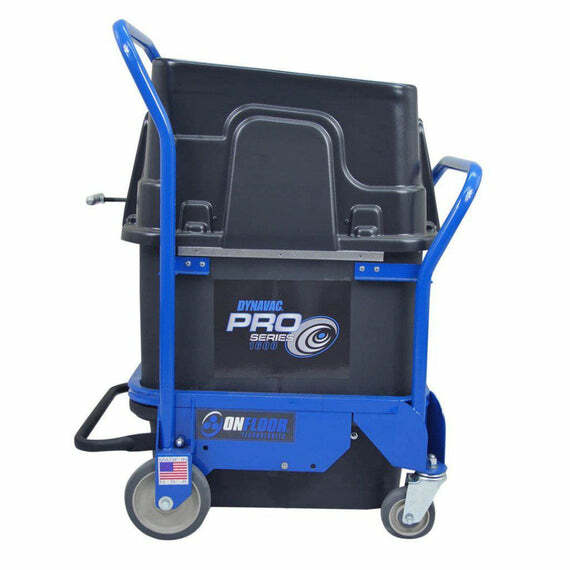 Completely, fill and sand any cracks to provide a smooth surface, using the Onfloor multipurpose floor grinder. Once cracks are filled, sand the area for a completely flat smooth application. Now that the floor is completely free of contaminants and all the cracks are filled, a final polishing of the concrete is needed for a refined look. Again this can be accomplished using an Onfloor multipurpose grinder with a finer grit tool. Concrete is usually ground to a 70 grit finish creating a smooth appearance for the dye and seal process. Finally, once you are happy with the surface condition, that is, the floor is now smooth, and completely free of contaminants, the floor should be fully vacuumed with a HEPA vacuum immediately prior to applying the dye and sealer.